The main reason to support Solar Energy is not only that it will solve our immediate energy needs, but also that it scales well for the future. 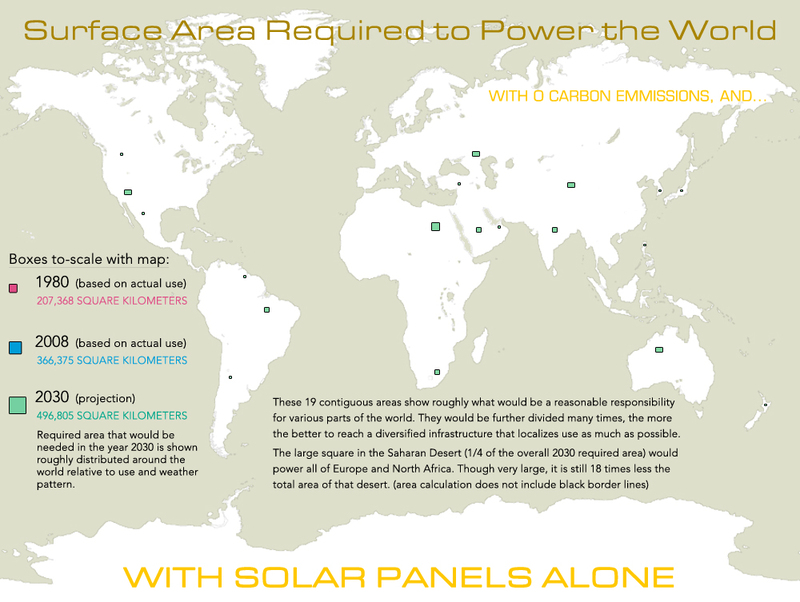 For example, look at this map that shows the surface area of the arth covered by solar panes to totally fulfill our energy needs for the year 2030. Not much, isn’t it? And, if we ever need more, we can put floating islands of solar scattered in the water. Or even better, but them up in orbit. But what is the cost for all of those solar panels?